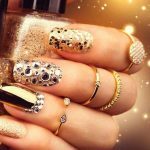 Every nail technician (and home nail artist) knows that when it comes to buying nail polish and nail accessories, the costs will eventually add up. You can save time and money by your nail supplies in bulk. This applies to everything from nail polish to manicure kits. All you need is to know where to look. It’s irresistible to buy nail polishes in every trendy color, and you can do so on the cheap with bulk nail polish. The best place to get nail polish in bulk is Amazon. They stock everything from big names like O.P.I and Butter London to smaller brands. But don’t be put off if you see a company you don’t recognize! Often a lot of the unknown and “up and coming” companies produce excellent wholesale nail polish and dupes of famous polishes. And they’ll cost you a fraction of the price. Nail powder or ‘dipping powder’ is one of the hottest trending products in nail beauty right now. Inspired by the acrylic manicure, dip powder nails have the amazing staying powder of around 2-weeks. And you don’t have to go through the paces of curing your nails after each application. As with nail polish, you’ll be tempted to buy dipping powder in tons of colors and textures so Amazon is your best bet. Look out for great deals on brands like Kiara Sky as well as independent suppliers. When it comes to essential manicure equipment, UV nail lamps are right up there. If you’re working as a nail technician you’ll go through a lot of these machines even if you buy expensive ones. It’s always good to have a back up, and don’t forget that the quality of UV lamps can differ. You could order your lamps through the salon or buy them in store but they tend to cost more. Instead check prices on Amazon. There are regular special offers and once you find a brand that you like, you can easily buy in bulk. One of the biggest sins in the manicure and pedicure world is buying tools like nail scissors and clippers separately. Unless you’re choosing a tool that you absolutely love, not buying them in bulk means spending more of your hard earned money. Instead look out for complete manicure kits and pedicure kits that deliver everything you need. There are lots to choose from online, ranging from inexpensive home kits to professional grade tools. Always think about what you need (scissors, file, buffer, cuticle pick) and check that they’re included in your chosen product. Alternatively, you may wish to buy a multi-pack of one product such as nail files. Finally, when you find something you like, it’s worth stocking up there and then. It never hurts to have spares in your drawers and it means that if your favorite brand is ever discontinued, you can still enjoy their products for a long time. I hope this post has inspired you to buy bulk nail polish and other nail beauty items in larger quantities. The money you will save on your supplies, you can re-invest in high end products, treatment and training that will really benefit you.